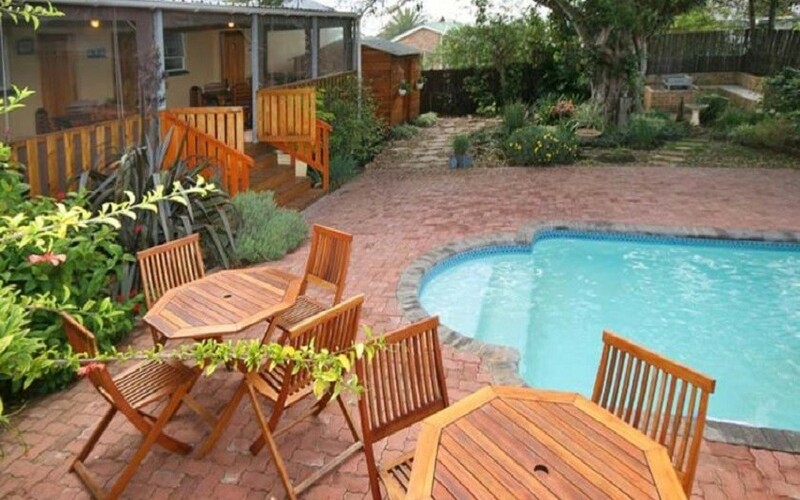 Aquarius B&B offers guests a comfortable stay in a lovely B&B with friendly staff and high service standards. A delicious breakfast can be enjoyed every morning and guests can make use of the communal self-catering kitchen, BBQ and pool area which is available from 8am until 10pm daily. The beach, shops and restaurants are all just a short walk away. Getting to Jeffrey’s Bay is easy. Various options are on offer from main cities. You can choose between a scenic drive to enjoy the natural beauty of the famous Garden Route from Cape Town. Or you can fly from major airports like Johannesburg and Cape Town and arrive in Port Elizabeth in less than 1.5 hours. Please ensure that you have arranged a shuttle through us to meet you and transport you to Jeffreys Bay - an hour's drive from Port Elizabeth. ​ A shuttle can be booked with us. We also can arrange discounted car hire for guests through Thrifty Care Hire. The InterCape and Greyhound Buses leave from the central train station in Cape Town and both have stops in Jeffreys Bay. Please view www.intercape.co.za and www.greyhound.co.za for current scheduling and pricing. Let us know your time and we can meet you. South African Airways departs from the Cape Town International Airport daily at various times during the day, arriving 1 hour and fifteen minutes later at Port Elizabeth international Airport. See their schedules on www.flysaa.co.za. InterCape bus liner leaves Port Elizabeth at 06h15 and 18h30 arriving 1 hour later in Jeffrey's Bay.The Baz Bus leaves at 07h00 from any backpacker establishment and arrives in Jeffrey's Bay at 08h30. Let us know your schedule and we'll arrange to pick you up. Shuttles can also be arranged through us to collect from the Airport and train station. Please be sure to confirm these shuttle times and dates with us beforehand. 3 Single Beds in one room, a second room with a bunk bed with 2 single beds for children and a shared En-Suite Bathroom that connects both rooms. Standard room with double or twin beds and an en-suite bath (no shower). Maximum 2 people. Room size 11 square metres. Standard room with Double or Twin beds and an en-suite shower. Room size 14.45 square metres.